Out of all of the various options you have to get parts, junkyard parts are the biggest gamble. That being said, it’s not a terrible option if you have more time than money and a deep knowledge of what it is you’re looking for. Also, it’s fine if you don’t mind some not-wonderful-smelling adventures through hot, massive car lots. Due to the popularity of the “Cash-for-Clunkers” bill, there are plenty of overloaded junkyards with cars picking up rust. The rush for people to have more environmentally friendly cars could mean that there are perfectly good Mercedes parts hidden in the mess. Who knows? For many who are passionate about customization and restoration, it may be worth a look. Make sure the junkyard is licensed or reputable. Many states, like New Jersey and Texas, require junk dealers to have some form of salvage-dealer license. A handful of states don’t have a system of licenses. In those states, you should likely make sure that the junkyard in question is fair and reputable via word of mouth. Look for warning signs as well, such as if they’re using bad environmental tactics when disposing of oils or wastes. Two types of junkyards exist: the “you pick” style where you and a friend can bring your tools, go to town, and pull off the parts you want, and the “full service” style where you tell the man up front what you’re looking for. The “you pick” style is far more common. 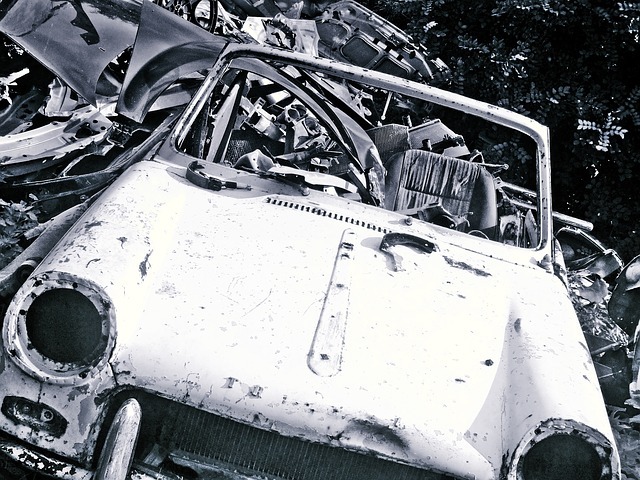 If you’re going to the former type of yard to look for junk car parts yourself, be sure to bring an assortment of tools as well as old clothes and a thirst for adventure. Be careful of bio-hazard vehicles. You’ll likely need to sign your life away at a you-pick-style yard. That’s because there are plenty of things that could happen. If you want to stay safe, stay away from the cars labeled with bio-hazard warnings, and watch out for anything that’s mysteriously dripping. Know that the part may not be an OEM part. Just because it’s tucked inside of a Mercedes-Benz body doesn’t mean that the specific part that you pulled is from the original manufacturer. When you’re pulling from junkyards, the Mercedes parts you find could be OEM parts, but they could also be aftermarket parts or even parts that didn’t truly fit the original. It truly is a crapshoot for which type of part you might find. Know that the car was likely in an accident. Look for damage when you pull out components from a smashed-up Mercedes. Parts at a junk dealer more often come from cars that have been totaled or at least been in major accidents. Electronics, parts of the auto body, brakes, airbags, and steering components can all get jostled about and may not be a great idea to buy as junk. On the other hand, some accessories are the perfect thing to find at a junkyard even if the vehicle was in an accident, like wheels, emblems, and intact headlights. The people who shop around for junkyard parts are the long-distance runners, in it for the long haul, the types who will purchase an entire second version of a vehicle just for its parts to fix the first. You may not find the part you need or anything coming close to it on your first, second, or even third visit. Sometimes, on that fourth try, you’ll buy the thing you’ve been hunting for. Sometimes, you’ll cave in and buy a new part online only to find it the next time you go. Like a roll of the dice, finding junk car parts can be both a lot of fun and really frustrating. Sometimes, you can come across something really great like a Mercedes emblem or grill, a working AMG engine, or some other incredible find, but don’t depend on it as your best or only way to find good parts.